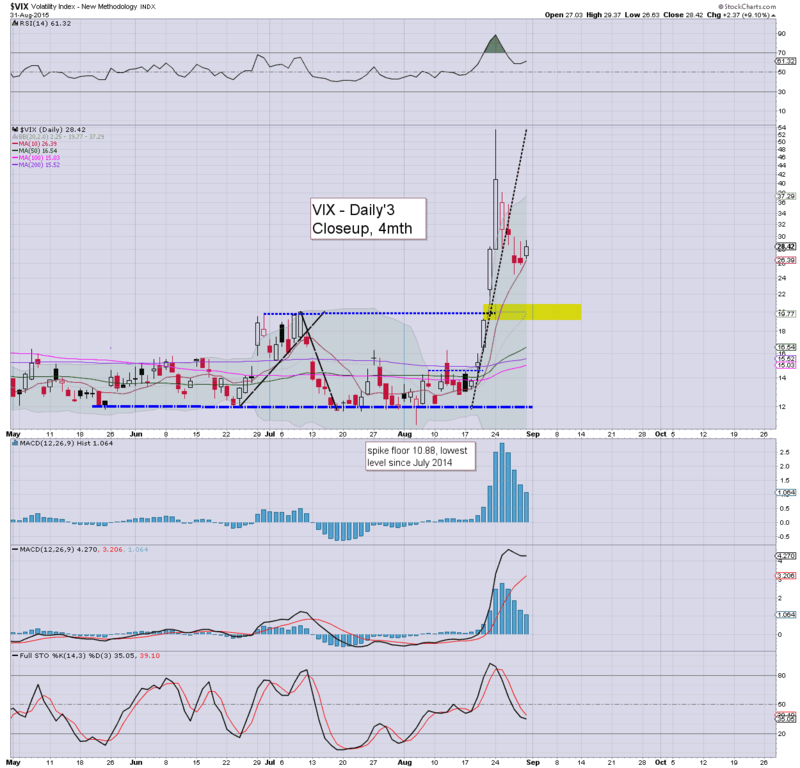 With equities back on the slide, the VIX held gains across the day, settling +9.1% @ 28.43. 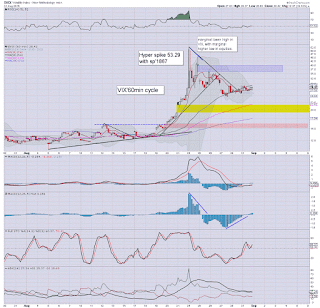 Near term outlook is for an equity retrace to the 1945/30 zone.. which should equate to VIX around 35. From there, renewed cooling to the 20 threshold by the FOMC of Sept'17th. VIX looks set for near term upside.. then cooling into mid Sept', before the next volatility explosion into end month/early Oct'. 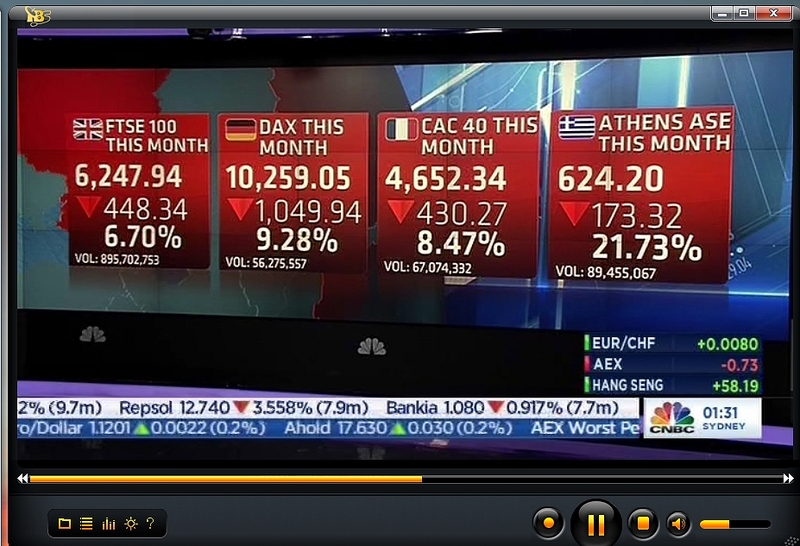 US equities started the week and closed the month on a rather bearish note, sp' -16pts @ 1972. The two leaders - Trans/R2K, settled lower by -0.8% and -0.3% respectively. Near term outlook is for a retrace of the 126pt hyper ramp... to the sp'1945/30 zone before the Friday jobs data. ... and August trading comes to a close. I will post a number of end month bits and pieces in my late day post at 11pm EST. As for today... things were certainly leaning on the bearish side, and there is very high probability that sp'1993 was indeed the first peak of the bounce from the double floor of 1867. Best guess remains... 1945/30 by Thursday... and then UP. 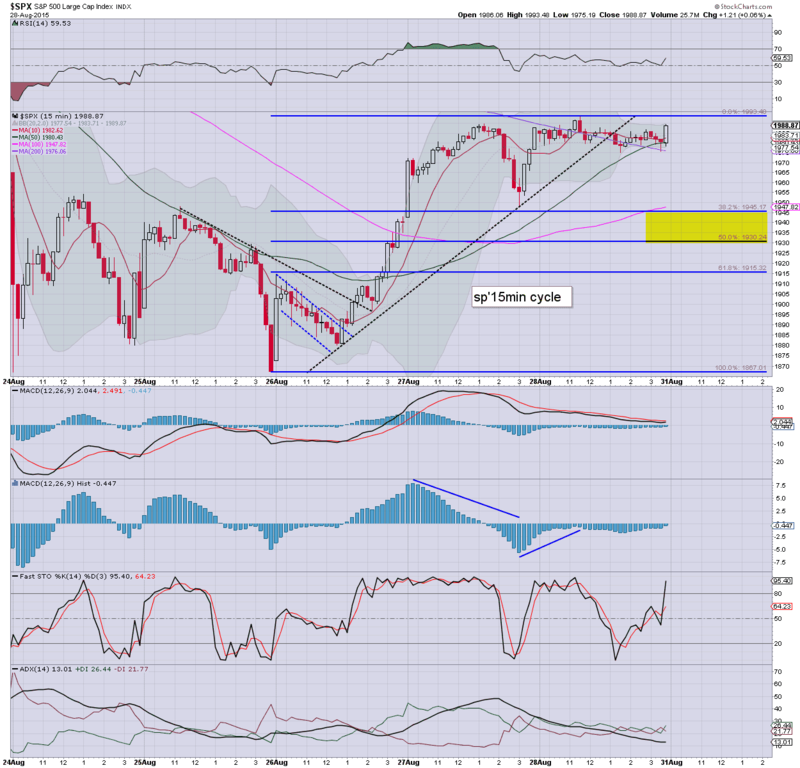 US equities look set for further weakness into the daily/monthly close. It has been a hell of a month for the equity bears, with the giant monthly cycles offering the first sign of an intermediate correction (of the Oct'2011 wave). Meanwhile, Oil is holding powerful gains of 7.4% in the $48s. *note the bollinger bands on the hourly cycle which have now contracted. If you assume 1993 is indeed a short term top.. the bears should be able to manage 1945/30 zone within the next few days.. BEFORE the monthly jobs data. With grey skies in London (for what seems like 15 of the last 18 days)... I'm not in the best of moods. As August comes to a close... equity bears have seen the best action in four years. I continue to have hope that once we're past the next FOMC (Sept 17'th).. the market will resume lower.. with a FULL washout into early/mid October. Best case remains the low 1700s.. but I realise that seems awfully difficult.. even after last week. 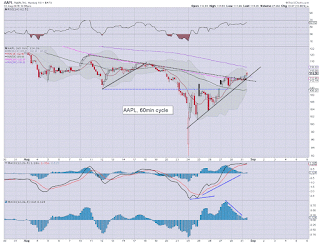 *I remain on the sidelines.. with eyes on AAPL. I want a long entry <110... for now..its the waiting game. back at the close... unless things get a little exciting with a break under the morning low of sp'1965. 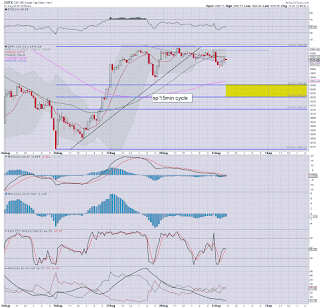 US equities see another touch of downside pressure, sp -12pts @ 1976, with VIX +5% in the 27s. 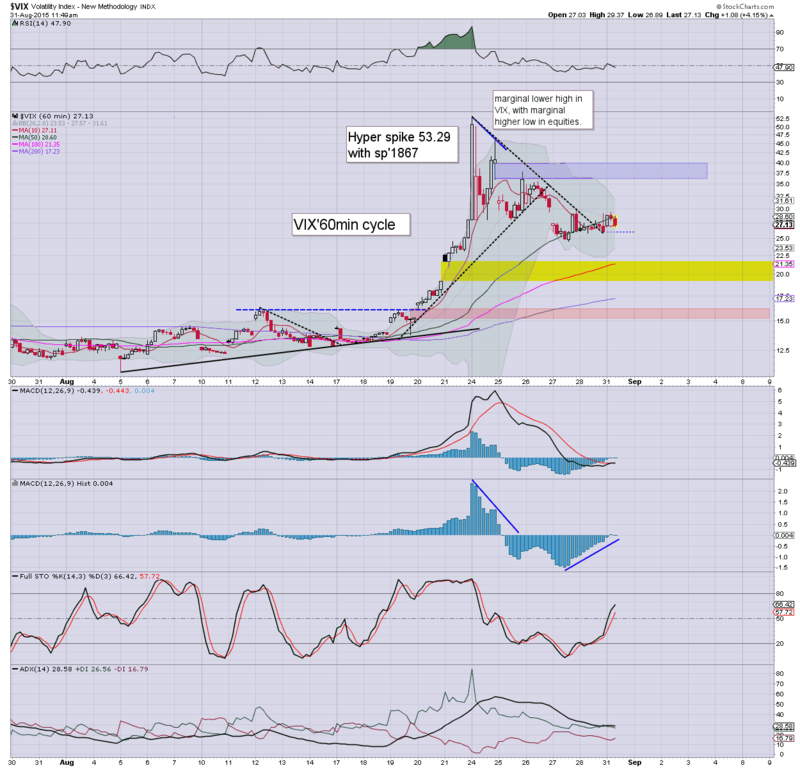 Metals are seeing some chop, Gold -$1.. set for a net monthly gain of around 3%. 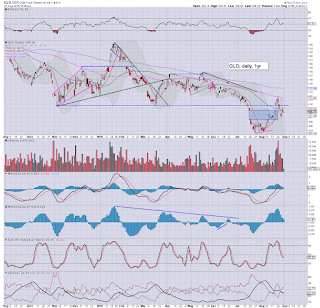 Oil continues to build rather extreme gains, +7.0% in the $48s... the big $50 threshold would be natural resistance. Suffice to say... nothing has changed since last Friday. I'm still seeking a retrace of the 126pt ramp... back to the sp'1945/30 zone. 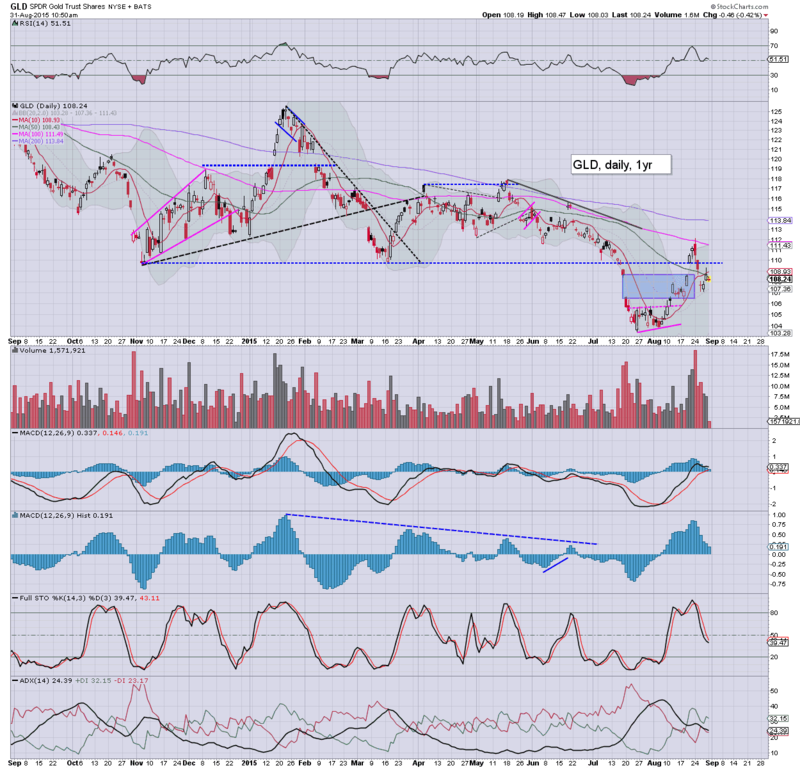 notable weakness, gold/silver miners, GDX -2.3%..despite the metals trading only a little lower. Today is starting to get real tedious as the market churns largely sideways into the monthly close. Most indexes still look set for net daily declines, but regardless... bears are showing no sustained downside power... despite the VIX holding the upper 20s. With the lack of sustained downward power.. there is now the threat of another up wave.. although that'd still bode for downside later in the week. As things are... 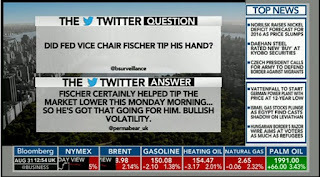 I've ZERO interest in going long at these levels. 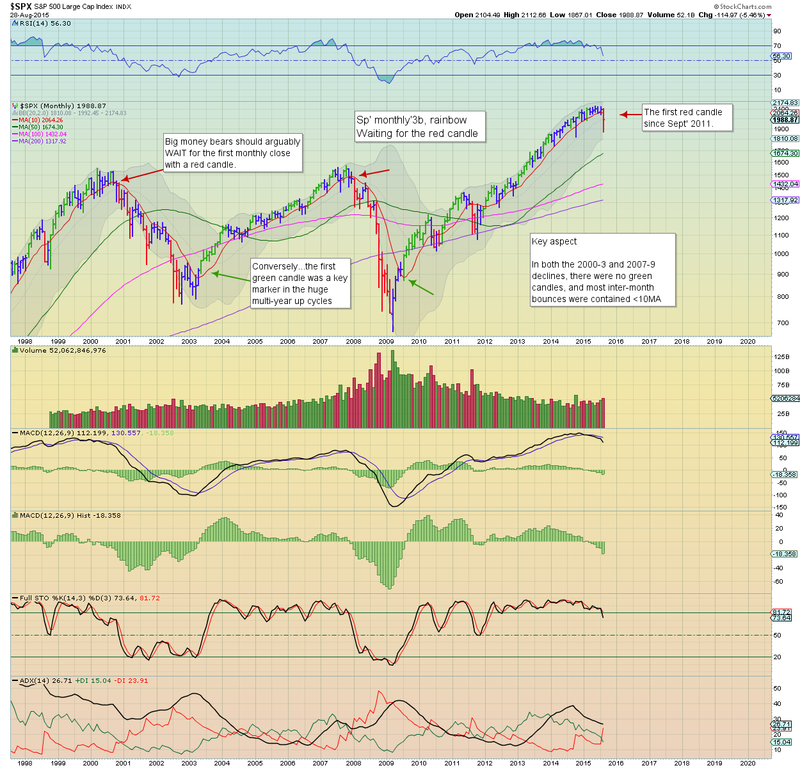 Considering the daily MACD cycles.. 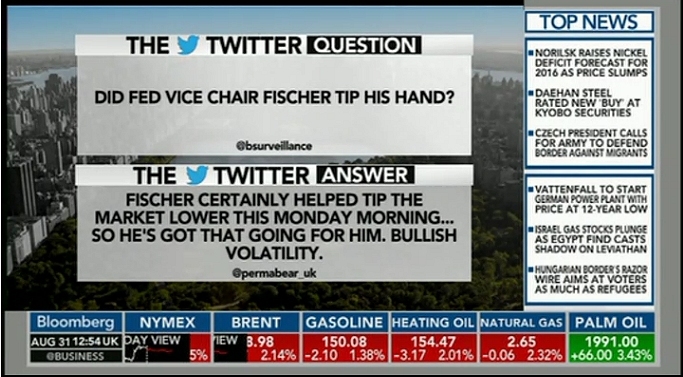 I've even less interest in attempting a market short. So... I'm on the sidelines. *have removed fib' retrace... after its made new cycle highs. 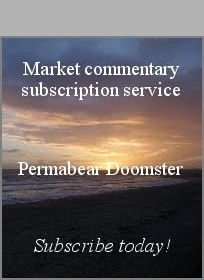 US equities remain moderately weak, in what is so far a choppy final day of the month. 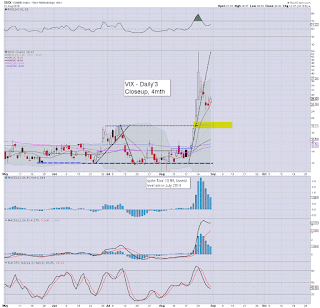 VIX remains notably strong in the upper 20s. The 30s look a given, with viable 'brief' upside to around 35. 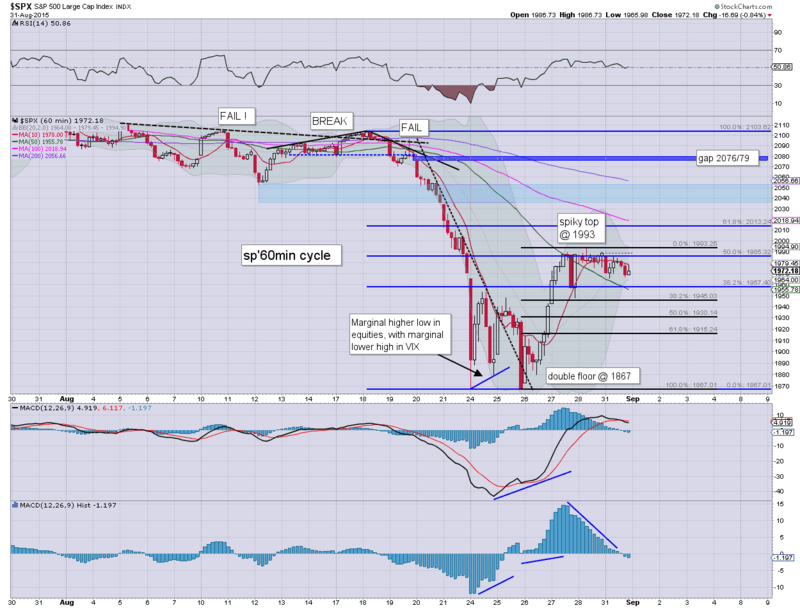 Oil has seen a very strong upside reversal, +3.5%. I've no idea - other than a short-stop run by the algos, for the move to almost green on most indexes. Broadly, we should still fall across the next few days... ahead of the jobs data. A few of the strong net monthly declines..
As usual, I will cover the EU.. and other world market monthly cycles this coming weekend. 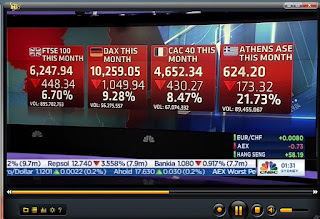 US equities remain moderately weak, with an early low of sp'1965 and VIX 29.37. Regardless of further chop, there still looks to be increasing downward pressure across today.. and into Tuesday. Metals are somewhat weak, Gold -$5, with Silver -0.8%. *Gold is set for a net monthly gain of around $30 (3%).. and remains within a broad downward trend. Relative to last Monday of course, today feels pretty dull... even with VIX in the mid/upper 20s. notable rebound in AAPL, having already turned positive to $113.45. 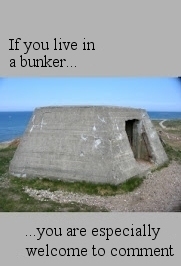 I'd only consider an entry <110.. otherwise, I'll leave it alone. US equities open moderately weak, with the hourly cycle offering increasing downward pressure into the Monday/monthly close. Primary downside target is the sp'1945/30 zone.. which will equate to VIX back in the 30s. For the bull maniacs... it has been a rough month. *Chicago PMI 54.4... non-recessionary, and nothing for the macro-bears to get excited about. 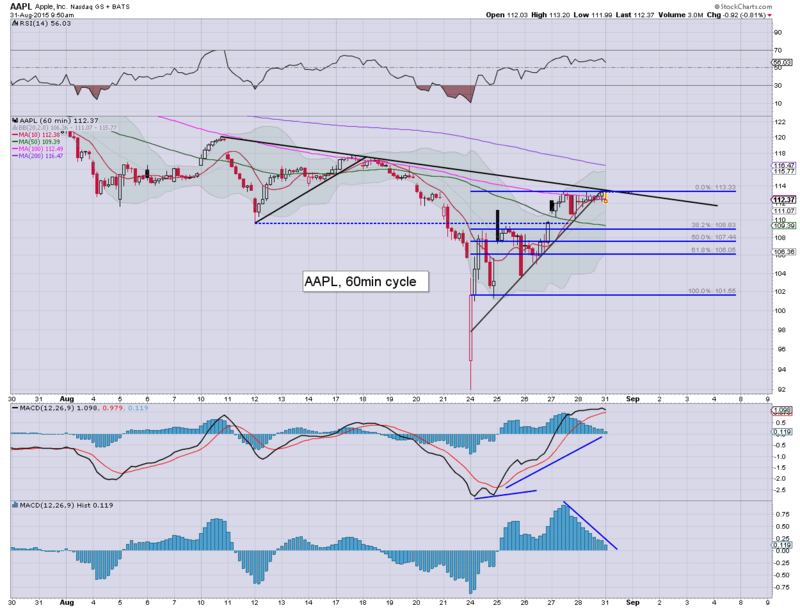 Suffice to say.. hourly MACD cycle is set for a bearish cross within the next hour or two. *yes, the fib retrace on the chart is unconventional, but I think its more fitting.. and ignores the opening Monday flash crash print. I'd like to go long in the 109/108s. That seems possible, despite AAPL holding up relatively well so far. Good morning. Equity futures are moderately lower, sp -13pts, we're set to open at 1975. 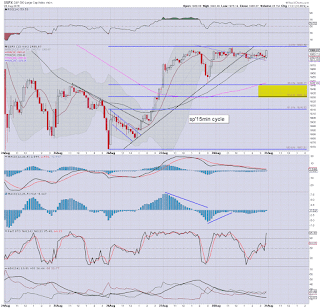 A natural retrace of the hyper bounce (1867/1993: 126pts) remains the 1945/30 zone... which looks probable by Tue/Wed. Regardless of any retrace in the first half of this week, a more important issue is that August is set to close seriously bad for the bull maniacs. 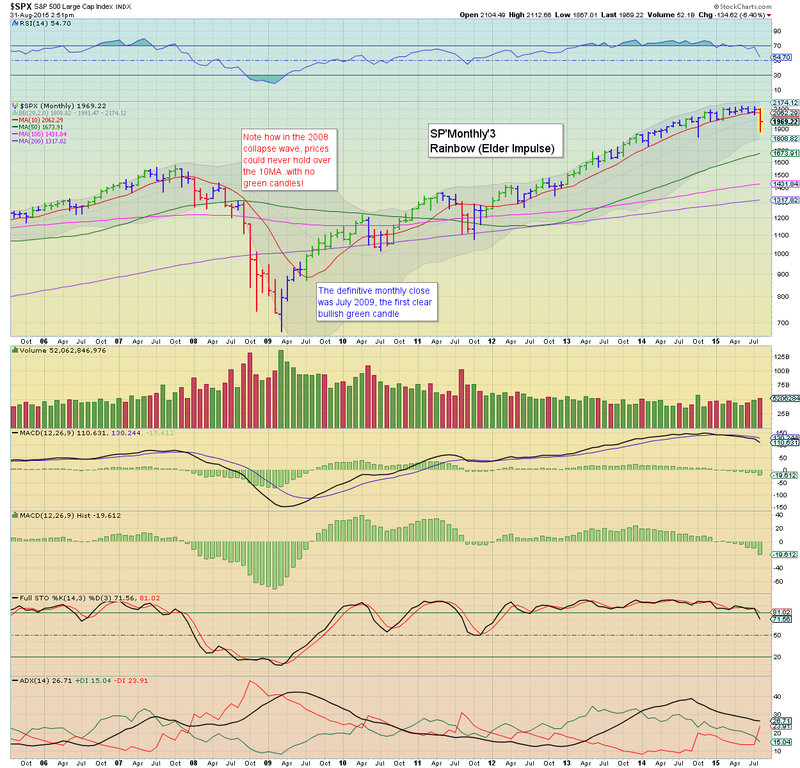 The sp'500 is set for a net monthly decline of 5-7%... with a red candle on the Elder chart. Unquestionably... we have a turn on the grand monthly cycle. 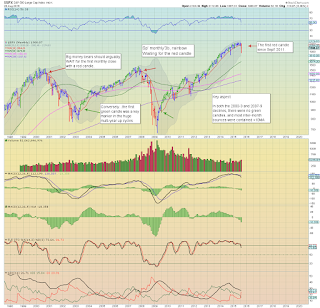 A hit of the lower bollinger in the low 1800s looks a given in Sept/Oct. 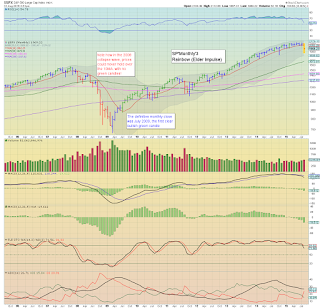 Increasingly.. the low 1700s look viable by mid Oct. First things first though... lets close out the month. Overnight China action: yet again, the Shanghai comp' struggled across the day... and then a rather strong late day ramp, settling -0.8% @ 3205. It looks like the SSEC is headed for the 2500/2000 zone by end Oct... and that will no doubt infuriate the communists overlords. The China SWAT teams are increasingly raiding anyone who dares suggest the market can go down. Does the UK have an extradition treaty with China? yours... ready to repel borders. 8.00am ... sp -11pts, 1977.